Licensed to one company for any number of installations within the organization. DNN Salesforce Add-on 5.0 is the solution of choice for DNN 9.2+ users that are looking to integrate their sales, support and marketing processes with the powerful Salesforce CRM application. DNN Salesforce Add-on gives enterprises the ability to provide better customer service, effective ways to cleanse their data to eliminate duplicates and inaccuracies, increase productivity and boost overall efficiency. 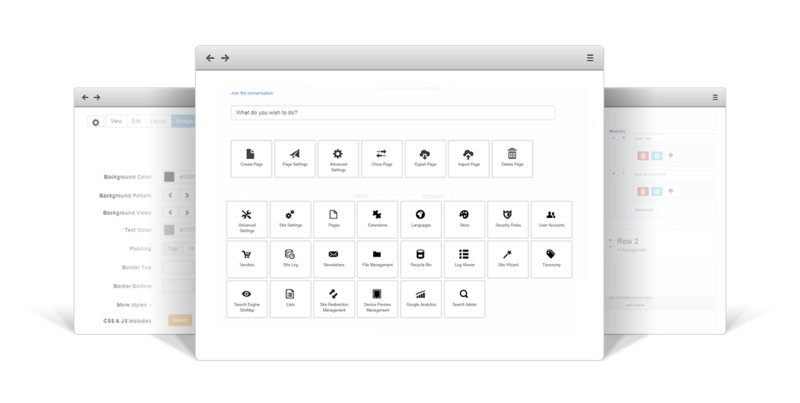 DNN Salesforce Add-on is built to work right out of the box and is tightly integrated with Action Form, Action Grid, API Endpoint, Sharp Scheduler and InfoBox so you don't have to worry about conflicts or core upgrades later. Action Form, Action Grid, Infobox, Api Endpoint and Sharp Scheduler provide the configuration and processing functionality necessary for DNN Salesforce Add-on to work. You'll be able to create entities, such as a Lead, a Case, a Contact, an Account and control which data to pass to Salesforce. Integrate tables from multiple sources into DNN projects. InfoBox drives user engagement and improve the customer journey with guided walkthroughs. 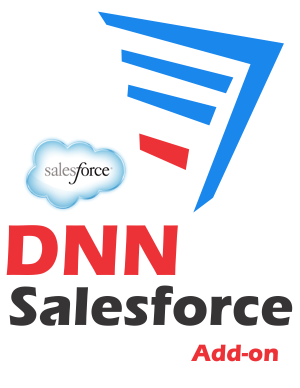 DNN Salesforce Add-on collects the submitted form data and send it across to Salesforce as a lead, contact, account, case, etc. including your new custom fields. This feature allows you to query Salesforce to get data using SOQL - which is an SQL-like query language provided by Salesforce. DNN Salesforce Add-on can post or get data to/from Salesforce automatically, in complex workflows. You can write a condition that will determine at submit time either the Create an Salesforce Entity or Run SOQL Query actions will get executed or not. DNN Salesforce Add-on got your back. The template available is responsive which means it will self-adapt to the device your visitor is using. DNN Salesforce Add-on is shipped with a leads template that can be picked from the Action Form start screen. After that, pay 50% the cost of a new license for subsequent updates. Process credit cards from users without having to experience redirecting to paypal.com. Frequently asked questions cover answers to most of the questions that you might have related to DNN Salesforce Add-on. Please read this section carefully before waiting for support. Who knows? You might find the answer quicker than expected. No, but you can take a look on our website here to see what this Add-on is capable of. Once you buy an Add-on license you'll have free updates and suport as long as your Add-on license is active and the updates and support subscription for the module you use the Add-on with (Action Form, Action Grid, DNN API Endpoint, Sharp Scheduler, InfoBox) is active as well.